Perfect for any outdoor event in addition to trade shows, hotels, spas and salons. Our SPF 15 Artisan Lip balm is made in the USA and FDA approved. UVA and UVB protection and is PABA free. 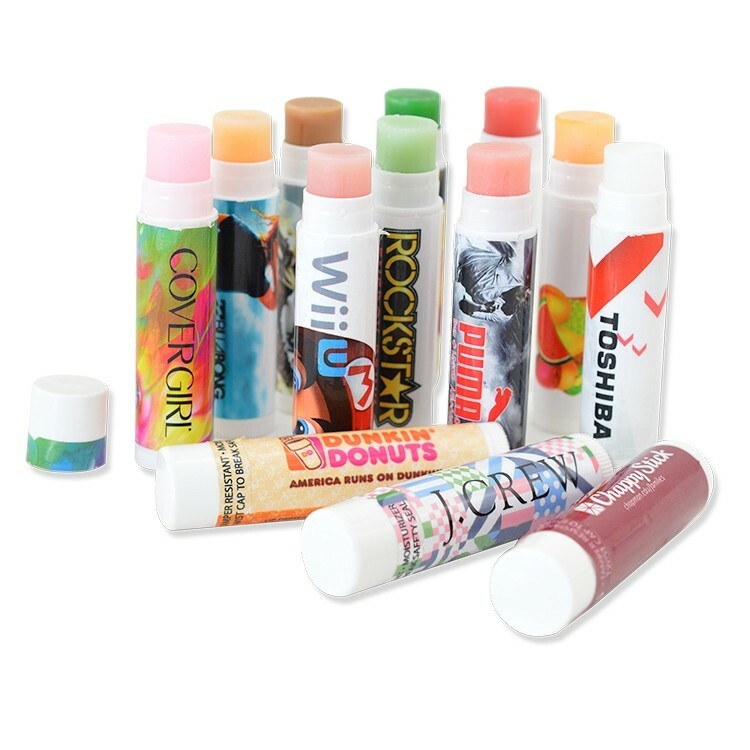 Print up to full color on our lip balm retractable dispenser. Flavor Options: Apple Pie, Blueberry Cobbler, Bubble Gum, Wild Cherry, Chocolate Sundae, Pina Colada, Passion Fruit, Peppermint Candy Cane, Pomegranate, Spearmint, Strawberry Shortcake, Tropical Punch, Vanilla Bean and Unflavored. Bulk packed. Imprinting Information: Full Color Label Set-up charge $45(V). Re-order setup charge $30(V). Minimum of 250 pcs per flavor. If no lip balm flavor is specified, peppermint flavor will be used.